I love watching the weather, especially clouds. 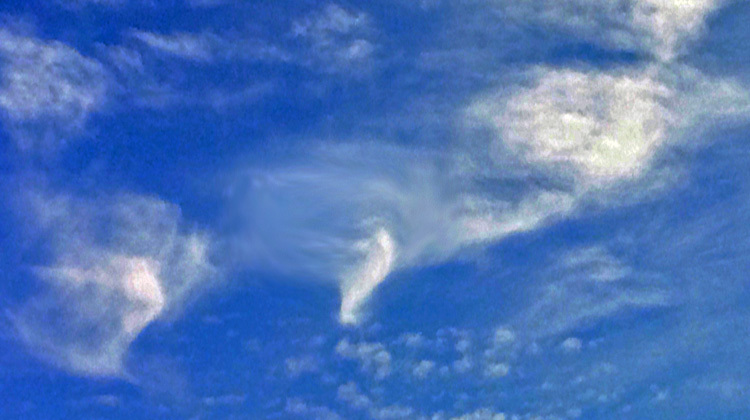 This morning I spotted my first vortex cloud of the year. They start appearing around storm season when weather fronts converge. This is today’s vortex from a window looking north from the FOX61 Studio windows. It did not last long but it was great to see one again!